Home template is used on the Home page of the website. In Themler it is possible to create individual styling and layout for the Home page and it won't be applied to any other page. Any page or post in WordPress can use Home template styling. 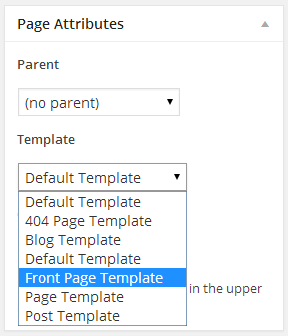 Home template styling for a page can be selected under Page options in the Page Attributes block from Wordpress back-end when editing the page. Front Page Template should be selected for this page. To choose Home template styling for a post, please find the Post Template block from Wordpress back-end when editing the post and select Front Page Template. 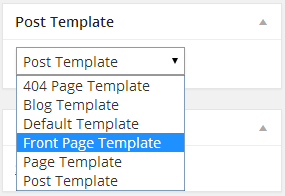 In Joomla any menu item can have Home template styling, as Home template is applied to the menu item defined as Default Page. 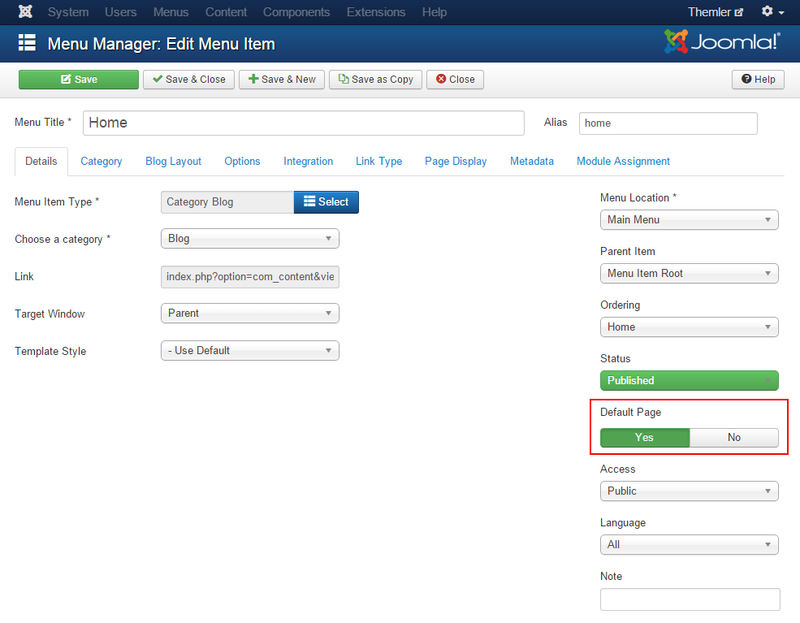 To select the menu item which will have Home template, in Joomla administration please select Menus (Menu Manager) >> [select the Menu] >> [select the Menu Item] and switch the Default Page option to Yes.